Explanation: Far away, long ago, a star exploded. 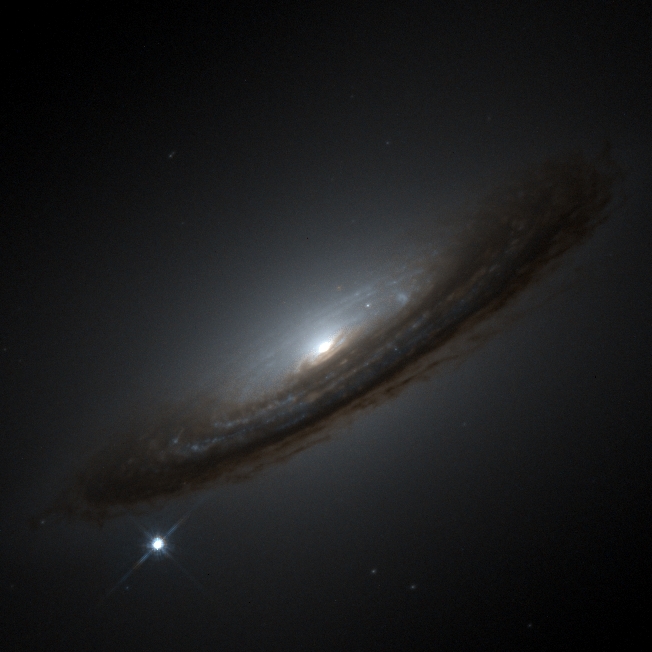 Supernova 1994D, visible as the bright spot on the lower left, occurred in the outskirts of disk galaxy NGC 4526. Supernova 1994D was not of interest for how different it was, but rather for how similar it was to other supernovae. In fact, the light emitted during the weeks after its explosion caused it to be given the familiar designation of a Type Ia supernova. 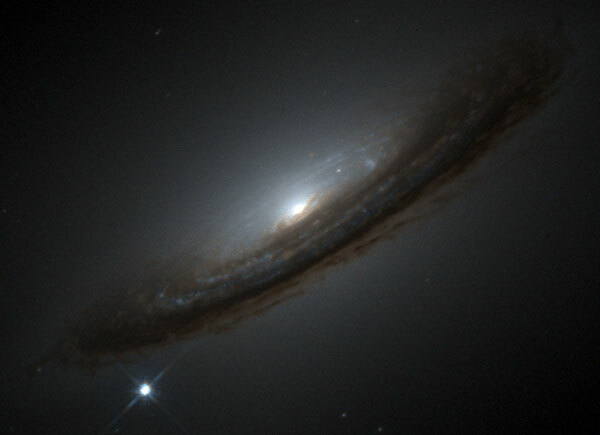 If all Type 1a supernovae have the same intrinsic brightness, then the dimmer a supernova appears, the farther away it must be. By calibrating a precise brightness-distance relation, astronomers are able to estimate not only the expansion rate of the universe (parameterized by the Hubble Constant), but also the geometry of the universe we live in (parameterized by Omega and Lambda). The large number and great distances to supernovae measured over the past few years have been interpreted as indicating that we live in a previously unexpected universe.